British sports car manufacturers Ultima Sports Ltd, has announced the launch of a new updated 1020bhp Supercar called the Ultima Evolution – which will be sold in both Coupe and Convertible form. Ultima has been building cars for more than 15 years now and the new Evolution Coupe and Evolution Convertible will replace the world record holding Ultima GTR and Ultima Can-Am supercars, which are both now discontinued. 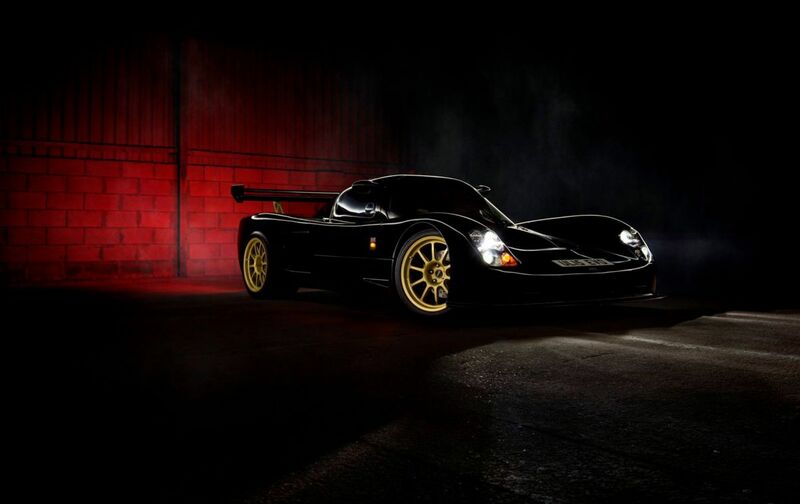 The Ultima Evolution retains the same timeless Le Mans Group C inspired body shape as the Ultima GTR and Ultima Can-Am but according to Ultima it is a vastly improved and modernized supercar in every sense. Many of the enhancements found on the new Ultima Evolution model have been as a result of customer demand and feedback. The powerplant for the Ultima Evolution is the fuel injected LS Chevrolet V8 engine and the factory offers over 15 different power level options ranging from 350bhp for the base model up to the top of the range 1020bhp model. The first Ultima Evolution Coupe production factory built demonstrator flagship model as pictured is equipped with the monstrous 1020bhp and 920ftlbs torque supercharged Chevrolet LS V8 official engine option delivering a power to weight ratio of over 1050bhp/ton and is expected to shake up the supercar scene and take the performance envelope of the Ultima to the next level. The new 1020bhp Evolution model has already been tested by the factory and has recorded a road legal 0-60mph time of 2.3secs, 0-100mph of 4.9secs with 0-150mph taking a mere 8.9 seconds! It has the capability to accelerate onwards to over 240mph. So what will this British built Supercar cost you? For the brave, prices start over £38,000 for a 350bhp Evolution in kit form, or if you aren’t looking to get your hands dirty, £65,995 is the cost of a factory built version. Hands up who would have the cahones to spend £35k on a kit car? 350bhp, very light weight and definitely original looking. I would love to have one to build it, I think kit cars are only as good as the person that built it. | Hands up who would have the cahones to spend £35k on a kit car? 350bhp, very light weight and definitely original looking. 3.7 V6 in the 55 I think. I know the G50 had the 3.5. You can pick up race prepped ones for less than £30k now. | 3.7 V6 in the 55 I think. I know the G50 had the 3.5. You can pick up race prepped ones for less than £30k now.